Whatever is happening in our life is actually the outcome of our past actions. One of the questions posed in a recent radio interview on the subject was, “ Should I lend money to a perennial borrower?” My perspective is that it is all right to provide financial assistance to a friend in a temporary financial setback, if the amount involved will not create a huge dent in your own cash flow. Besides, most of us have gone through similar dilemma in our life and likely obtained favors from other people. This is part of giving back. However, the contentious issue is when there is a proclivity or habitual tendency to borrow money. This raises the issue of whether the borrower had taken steps to change his or her situation or simply adopted an entitlement or dependency mentality, knowing that he or she can always run to you when an emergency arises. 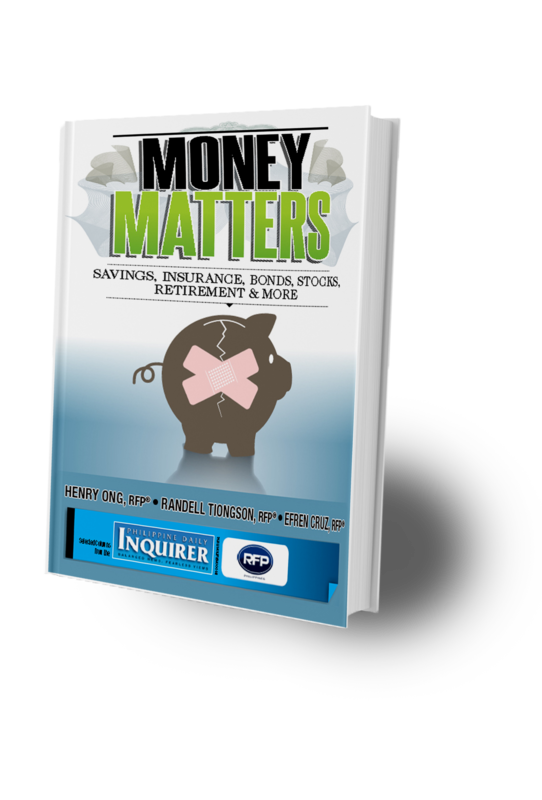 With the proliferation of financial insitutions offering ready credit, Filipinos resort to getting a loan as the easiest way to get over illiquidity. Sometimes, due to the nature of the emergency, people hardly take time to evaluate how hefty interest rates can take a toll on their cash flow, which is analogous to sinking further into the quicksand due to the bahala na attitude. For this reason, many have resigned their fate with a mind-set that they were born poor and will die poor (“Pinanganak akong mahirap kaya mamamatay akong mahirap”). Obviously, most people aspire to get out of dire situations and become rich. But why does it seem like an impossible dream? Is there hope? First of all, people need to realize they have to take responsibility for their financial lives. Whatever is happening in our life is actually the outcome of our past actions. The Bible says, “Ye shall reap what ye sow.” Just like a plant or tree, if you are unhappy with the fruits that it bears, then you should evaluate what went wrong. Was it the seed, soil condition, weather, or nurturing that caused the situation? In the same manner, we need to discover the root cause to remedy the situation and get the results we want. One of the differences which sets the two worlds apart is the mind-set. Generally, poor people remain poor when they continue to hold on to a scarcity mindset, while the rich carry an abundance mind-set. A change in perspective from negative to positive can spell a lot of difference in results. To change your situation, you have to vanquish self-defeating thoughts and behavior. If your current income is not enough, perhaps, reviewing your expenses to cut back on certain items or seeking additional sources of income will be helpful. Another common trait of rich people is that they think big. They carry a high sense of confidence with the “I can” attitude. They believe that they can achieve whatever they set their minds to. If you can create that intense and burning desire within you to take that leap of faith, the universe will conspire and open up opportunities that will allow you to realize your dreams. So for those who wish to acquire riches, it is but fitting to emulate the mind-set of the rich. In other words, we are the only ones who can make the choice to change status from where we are now to where we want to be, or we can simply stay within our comfort zones. Napoleon Hill said, “Every adversity, every failure, every heartache carries with it the seed of an equal or greater benefit.” The opportunity may just be there in disguise. And so, for those who are still in a quandary on how to overcome their current situation, let us endeavor to seek the seeds of success in the midst of adversity. Remember that God wants us to be rich (2 Corinthians 9:8). In fact, there are more than 2,000 Bible verses on the subject of money and possessions. As His children, He endowed us with special talents to harness and unleash our potentials. Your choice determines your future! 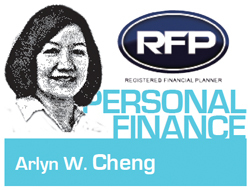 Arlyn Cheng is a Registered Financial Planner of RFP Philippines. She is a Financial Advisor of a leading insurance company in the Philippines. Next: Why is Long-Term Thinking a Must in Investing?